Bell 206G Helicopter Accident in Elkhorn, Wisconsin (Stevie Ray Vaughan Accident)Represented component manufacturer in litigation arising from 1990 crash of Bell 206G helicopter in Elkhorn, Wisconsin. Cessna 550 Crash into Lake Michigan Near Milwaukee, WisconsinRepresented component manufacturer in litigation arising from 2007 crash of Cessna 550 into Lake Michigan near Milwaukee, Wisconsin. Piper Cub Mishap in Rantoul, IllinoisObtained verdict for engine manufacturer at wrongful death trial arising out of crash of Piper Cub near Rantoul, Illinois. Piper Meridian Mishap in Wellsville, Missouri Represented autopilot manufacturer in multiple wrongful death litigation arising from the 2007 crash of a Piper Meridian airplane near Wellsville, Missouri. Injury Sustained Due to Alleged Defective Air StairsObtained summary judgment in favor of international shipping company against personal injury claims resulting from fall from air stairs. North American P51 Mustang Mishap During Air Race in Reno, NevadaDefense of air race organizer in claims for eleven deaths and multiple injuries arising from a crash of a modified North American P51 during National Championship Air Races. Boeing 737 Accident Near Sulawesi, IndonesiaIn re Air Crash over Makassar Strait, 626 F. Supp. 2d 1354, 1355 (J.P.M.L. 2009); 2011 U.S. Dist. LEXIS 2647 (N.D. Ill. Jan. 11, 2011).Obtained dismissal based upon forum non conveniens grounds for U.S. aircraft component part manufacturer in consolidated action involving Indonesian domestic airliner crash in Indonesia. Piper Aircraft Mishap in Castro Verde, PortugalObtained dismissal based on forum non conveniens on behalf of manufacturer in litigation related to crash of a Piper aircraft in Castro Verde, Portugal. Avemco Ins. Co. v. Coupe, Nos. 99-1549, 99-1590, 2000 U.S. App. LEXIS 25470 (6th Cir. Oct. 3, 2000). Obtained summary judgment on behalf of aviation insurer in a coverage action related to crash of airplane into house. Prevailed on plaintiffs' appeal to the U.S. Court of Appeals for the Sixth Circuit. Obtained defense verdict for multi-function display (MFD) manufacturer in litigation and trial arising out of 2002 crash of a Socata TB-21 Trinidad airplane near New River, Arizona. Obtained defense verdict for turbine engine manufacturer in alleged cabin air contamination case arising out of crash of MU2B aircraft in New Orleans, LA in February 1987. Piper Meridian Accident Near Austin, Texas Represented component manufacturer in a multiple wrongful death litigation arising from a 2009 crash of a Piper Meridian airplane near Austin, Texas. Alleged Failure to Assist Passenger Having Heart AttackFischer v. Northwest Airlines, Inc., 623 F. Supp. 1064 (N.D. Ill. 1985).Represented an airline for its alleged failure to assist a passenger who suffered fatal heart attack in flight. Successfully represented the airline in an extensive evidentiary hearing on applicability of the Death of the High Seas Act. Obtained summary judgment in the Circuit Court of Cook County on wrongful death claim on behalf of an emergency medical helicopter operator involved in aero-medical transfer of patient who died of an acute aortic dissection after an inter-hospital transfer. Forum Ins. Co. v. Seitz Aviation, Inc., 241 Kan. 334, 737 P.2d 29 (Kan. 1987). Represented aviation insurer in appeal of coverage dispute before the Supreme Court of Kansas. McDonnell Douglas MD 500E/369E Helicopter MishapObtained dismissal of product liability claims against helicopter component manufacturer related to alleged tail rotor component failure in fatal crash of a MD-500 helicopter. Runway Excursion of Commercial Airline in Cleveland, OhioRepresented airline in claim for personal injuries and property damage arising from runway excursion of McDonnell Douglas MD-80 during winter operations in Cleveland, Ohio. Represented engine manufacturer in litigation arising from 1994 crash of regional airline Jetstream 3201 in Morrisville, North Carolina. Waugh v. Morgan Stanley & Co., 2012 IL App (1st) 102653, 966 N.E.2d 540 (Ill. App. Ct. 1st Dist. 2012). Terrorist Attack at Leonardo da Vinci Airport, Rome, ItalySweis v. Trans World Airlines, Inc., 681 F. Supp. 501, 502 (N.D. Ill. 1988). Represented TWA in personal injury case arising from terrorist attack at Rome, Italy airport. Court found in favor of TWA because plaintiff was not in the course of embarking as contemplated by Warsaw Convention at time of attack. Refueling Accident of a Boeing 777 Accident at Denver International AirportRepresented manufacturer of aircraft fueling equipment in wrongful death case arising from 2001 fuel fire on a Boeing 777 at the Denver International Airport. Claim Against International Air CarrierObtained summary judgment based on Foreign Sovereign Immunities Act for foreign air carrier involving alleged negligence by flight attendant. Taylor v. Mooney Aircraft Corp., 464 F. Supp. 2d 439 (E.D. Pa. 2006), aff'd, 265 F. App'x 87 (3d Cir. 2008). Obtained summary judgment in favor of component manufacturer in litigation arising from 2000 crash of Mooney M20K in Rixford, Pennsylvania. Successfully defended component part manufacturer before U.S. Court of Appeals for the Third Circuit. Represented avionics manufacturer in litigation involving mid-air collision of Bashkirian Airlines Flight 2937, a Tupolev TU-154M passenger jet and a Boeing 757 cargo jet over southern Germany. Represented component manufacturer in Multi District Litigation arising out of the fatal crash of a Spanish airline's McDonnell Douglas MD-82 at Madrid Barajas International Airport in Madrid, Spain. Represented airline in multiple wrongful death and personal injury actions and tried two damages cases arising from the 1989 crash of a DC-10 in Sioux City, Iowa." Cargo Carrier Shipment Loss Obtained summary judgment on behalf of air cargo carrier arising out of loss of cellular phone shipment based upon air waybill damage limitations. Insurance Coverage Action Related To Death of SkydiverObtained summary judgment on behalf of an aviation insurer in a coverage action arising out of the death of a skydiver. Pettitt v. Boeing Co., 606 F.3d 340 (7th Cir. 2010), remanded to 2010 U.S. Dist. LEXIS 102235 (N.D. Ill. Sept. 28, 2010). Terrorist Hijacking of TWA Flight 847 at Athens International Airport, Athens, GreeceDarras v. Trans World Airlines, Inc., 617 F. Supp. 1068 (N.D. Ill. 1985), 622 F. Supp. 215 (N.D. Ill. 1985).Represented TWA in personal injury case arising from terrorist hijacking of TWA Flight 847 at Athens International Airport, Athens, Greece. Cessna 340A Crash into Lake Michigan Near Chicago, IllinoisRepresented engine manufacturer in wrongful death litigation arising from crash of Cessna 340A into Lake Michigan near Chicago, Illinois. Obtained defense verdict for engine manufacturer in wrongful death trial arising out of crash of Piper Cub near Rantoul, Illinois. Domestic Airline Mishap at O'Hare International Airport, Chicago, IllinoisRepresented airline in litigation brought by over 50 passengers arising out of 1998 crash landing of a Boeing 727 at O'Hare International Airport. Represented airline and pilot estate in Cook County litigation arising from 1999 mishap involving a Domestic Airline's McDonnell Douglas MD-82 in Little Rock, Arkansas. Piper Aerostar 601 and Bell 412 Helicopter Mid-Air Collision (Senator Henry John Heinz III Accident)Represented operator in litigation arising from 1991 mid-air collision between Piper Aerostar and Bell 412 helicopter in Merion, Pennsylvania. Aircraft Tow Vehicle Collision Represented airline in wrongful death litigation arising out of tug collision at Chicago-O'Hare International Airport. Lancair LC-40-550FG Accident Near Steamboat Springs, ColoradoObtained dismissal based on forum non conveniens grounds of litigation arising from 2005 crash of a Lancair LC-40-550FG near Steamboat Springs, Colorado. Boeing CT-42A Accident Near Dubrovnik, Croatia (Secretary of Commerce Ron Brown Accident)Represented component manufacturer in litigation arising from 1996 crash of Boeing CT-42A in Dubrovnik, Croatia that resulted in the death of Secretary of Commerce Ron Brown. Aircraft Passenger Personal Injury CaseObtained a favorable defense verdict in a jury trial where plaintiff claimed permanent head and neck injuries from heavy objects falling from aircraft's overhead compartment. Boeing 737-400 Uncommanded Pitch-Up Incident at Diyarbakir Airport, Turkey. Obtained summary judgment against foreign airline on behalf of domestic aircraft maintenance facility on negligent repair claims allegedly resulting in substantial aircraft damage and lost profits. Affirmed on appeal in reported decision.Havayollari v. AAR Aircraft Servs., Inc., 2016 IL App (2d) 150940. Alleged Inhalation of Toxic Fumes Onboard AircraftSabatino v. Boeing Corp., 2009 U.S. Dist. LEXIS 48613 (N.D. Ill. June 5, 2009).Represented aircraft lessor in litigation arising out of passengers' alleged inhalation of toxic fumes on aircraft. Space Shuttle Challenger Disaster Represented solid rocket motor manufacturer in litigation arising from 1986 Space Shuttle Challenger accident. O'Callaghan v. AMR Corp., 2005 U.S. Dist. LEXIS 12889 (N.D. Ill. June 8, 2005). Represented manufacturer in litigation arising from 2000 fatal crash of Philippine airline's Boeing 737 as it was attempting to land at Davao International Airport, Davao, Philippines. Sikorsky S-76A Helicopter Mishap in Gulf of Mexico Obtained dismissal of flight control system manufacturer in wrongful death actions brought pursuant to the Federal Death on the High Seas Act arising from 2004 crash of Sikorsky S76A helicopter in Gulf of Mexico. Obtained summary judgment for component part manufacturer in litigation arising from crash of a Cessna T210 aircraft near Rosario de la Frontera, Argentina, resulting in four deaths. Barber v. American Airlines, Inc., 241 Ill. 2d 450 (2011). Disappearance of Laptop Computers During Air TransportNippon Fire & Marine Ins. Co. v. Skyway Freight Sys., 235 F.3d 53 (2d Cir. 2000). Represented components manufacturer in litigation arising from 1997 mishap involving Foreign Airline's Airbus A-300 in Sumatra, Indonesia. Johnson v. United Airlines, 203 Ill. 2d 121, 784 N.E.2d 812 (Ill. 2003); Reliance Nat. Ins. Co. v. Great Lakes Aviation, Ltd., 12 F. Supp. 2d 854 (C.D. Ill. 1998); Reliance Nat. Ins. Co. v. Great Lakes Aviation, Ltd., 430 F.3d 412 (7th Cir. 2005); Reliance Nat. Ins. Co. v. Great Lakes Aviation, Ltd., 340 F. Supp. 2d 936 (C.D. Ill. 2004),rev'd, 430 F.3d 412 (7th Cir. 2005). Represented airline and flight crew in litigation arising out of a 1996 runway collision between a Beech 1900C airliner and a Beech King Air A90 at Quincy Municipal Airport in Quincy, Illinois. Represented the interests of airline and flight crew in various appeals before the Illinois Appellate Court, the Illinois Supreme Court, and U.S. Court of Appeals for the Seventh Circuit. Anderson v. Alberto-Culver USA, Inc., 317 Ill. App. 3d 1104, 740 N.E.2d 819 (Ill. App. Ct. 1st Dist. 2000); Anderson v. Alberto-Culver USA, Inc., 337 Ill. App. 3d 643, 789 N.E.2d 304 (Ill. App. Ct. 1st Dist. 2003); Alberto-Culver Co. v. Aon Corp., 351 Ill. App. 3d 123, 812 N.E.2d 369 (Ill. App. Ct. 1st Dist. 2004). Represented business jet operator in mishap involving a Gulfstream G-IV at Palwaukee Municipal Airport, Wheeling, Illinois. Successfully represented executive flight department and its insurer in various appeals before the Illinois Appellate Court, including obtaining affirmance of favorable jury verdict in wrongful death litigation, reversal of tort immunity finding in favor of co-defendant, and complete reversal of trial court's adverse coverage ruling. Alleged Racial Discrimination Related to Passenger Removal From AircraftAl-Watan v. American Airlines, Inc., 658 F. Supp. 2d 816 (E.D. Mich. 2009).Obtained summary judgment on behalf of commercial air carrier in discrimination and racial profiling litigation stemming from carrier's decision to remove several passengers from an aircraft. U.S. Air Force F-22 Raptor Fighter Mishap in AlaskaRepresented onboard oxygen generating system manufacturer in a mishap involving a U.S. Air Force Lockheed Martin/Boeing F-22 Raptor near Elmendorf, Alaska. Represented component manufacturer in litigation arising from 2001 crash of Beech 200 King Air that was carrying members of the Oklahoma State University Basketball Team in Strasburg, Colorado. Cessna 525 Mishap in Branson, Missouri Represented manufacturer in litigation arising from 1999 crash of Cessna 525 in Branson, Missouri. Mooney M20R Mishap in Leesburg, VirginiaRepresented component manufacturer in litigation arising from 2003 crash of Mooney M20R in Leesburg, Virginia. Cessna 208 Caravan Mishap in Oak Glen, CaliforniaRepresented multi function display (MFD) manufacturer in wrongful death trial arising from the 2006 crash of a Cessna 208 Caravan airplane in Oak Glen, California. Emergency Landing at Chicago-O'Hare International AirportRepresented airline in personal injury suit arising out of a 2009 emergency landing at Chicago-O'Hare International Airport. Represented aircraft lessor in litigation arising from 2004 crash of a McDonnell Douglas MD-80 near Solo City, Indonesia. Represented component manufacturer in litigation arising from 2001 crash of Mooney M20R in Bluffton, South Carolina. Represented manufacturer in litigation arising from 2000 fatal crash of Cuban airline operated ATR-72 in Chulum Juarez, Mexico. 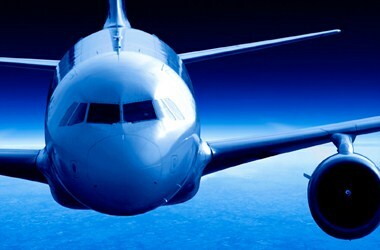 Represented manufacturer in litigation arising from 1992 crash of passenger airline aircraft in Tucuti, Panama. MU-2B-36 Mishap in Pittsfield, MassachusettsRepresented component manufacturer in litigation arising from 2004 crash of MU-2B-36 near Pittsfield, Massachusetts. Piper PA-24-250 Comanche Mishap in Osage Beach, MissouriRepresented manufacturer in litigation arising from 2001 crash of Piper Comanche in Osage Beach, Missouri. Cessna 172S Mishap in Sarasota, FloridaRepresented component manufacturer in litigation arising from 2001 crash of Cessna 172 in Sarasota, Florida. Cessna 172 S Mishap in Coopers Landing, AlaskaRepresented component manufacturer in litigation arising from 2001 crash of Cessna 172S in Coopers Landing, Alaska. Piper PA-28R-200 Mishap in Tunica County, MississippiRepresented component manufacturer in litigation arising from 2004 crash of Piper PA-28R-200 near Tunica County, Mississippi. Israel Aircraft Industries Westwind 1124 Mishap in Toucumen, PanamaRepresented component manufacturer in litigation arising from 2004 crash of Israel Aircraft Industries Westwind 1124 near Toucumen, Panama. Piper Saratoga Mishap in Jacksonville, MarylandRepresented component manufacturer in multiple wrongful death litigation arising from a 2007 crash of a Piper Saratoga in Jacksonville, Maryland. Israel Aircraft Industries Westwind 1124 Mishap in Sapotito, MexicoRepresented component manufacturer in litigation arising from 2005 crash of Israel Aircraft Industries Westwind 1124 near Sapotito, Mexico. Obtained early dismissal of autopilot manufacturer in multiple wrongful death action arising from 2006 crash of Cirrus SR-20 airplane into a Manhattan apartment building in New York. Piper Warrior II Mishap Near Flying Cloud Airport, Minnesota Represented fixed base operator at trial arising out of a 2000 crash landing of and subsequent injury to flight instructor. Represented component manufacturer against a wrongful death claim arising out of a 2002 crash of a Cessna T210N. Obtained dismissal for component manufacturer in litigation arising from 2004 crash of Cessna 172 S near Asheville, North Carolina. Crushed Foot Injury Caused by Large ContainerObtained a favorable jury verdict in case where plaintiff suffered a crushed foot from a large container. Case settled during pendency of appeal brought by plaintiff. Parachute Club Insurance Coverage DisputeObtained summary judgment in favor of insurer. Court held that there was no coverage for a parachute club under a Business and Pleasure Policy. Cessna 177 Cardinal Mishap in Delavan, WisconsinRepresented manufacturer in litigation arising from 1995 crash of Cessna 177 Cardinal in Delavan, Wisconsin. Litigated wrongful death claims filed by estates of government officials after a 2005 crash of a Israel Aircraft Industries Westwind 1124 into mountainous terrain after takeoff from Toluca Airport, Mexico. Cessna 208B Mishap in Parks, ArizonaRepresented component manufacturer in litigation arising from 2002 crash of Cessna 208B in Parks, Arizona. Cessna 421B Mishap in Jefferson City, MissouriRepresented engine manufacturer in wrongful death litigation arising from 1999 crash of Cessna 421 in Jefferson City, Missouri. Beech E-90 King Air Mishap in Bloomington, IllinoisRepresented component manufacturer in litigation arising from 2002 crash of Beech King Air in Bloomington, Illinois. Piper PA-23-250 Aztec Mishap in Ironwood, MichiganRepresented component manufacturer in litigation arising from 2004 crash of Piper PA-23-250 Aztec near Ironwood, Michigan. Cessna 172 S Mishap in Marietta, OklahomaRepresented component manufacturer in litigation arising from 2002 crash of Cessna 172 in Marietta, Oklahoma. Cessna 210 Mishap in Farmington, MissouriRepresented engine manufacturer in wrongful death litigation arising from 2001 crash of Cessna 210 in Farmington, Missouri. American Legend AL11C Mishap in Chicago, IllinoisRepresented component manufacturer in litigation arising from 2006 crash of American Legend AL11C near Chicago, Illinois. Commander 114-B Mishap in LaGrange, WisconsinRepresented manufacturer in litigation arising from 1998 crash of Commander 114-B in LaGrange, Wisconsin. Collapse of Truck Lift Accident at Aircraft Storage FacilityRepresented aircraft storage facility in litigation arising out of collapse of a truck lift that resulted in serious injuries to an aircraft mechanic. Beech J35 Mishap in Somerset, KentuckyRepresented engine manufacturer in litigation arising from 2003 crash of Beech J35 in Somerset, Kentucky. Alleged Discrimination Involving Airline Disability AccommodationsObtained dismissal of discrimination complaint in Missouri Human Rights Commission involving airline disability accommodations. Cessna 310N Mishap in Danville, IllinoisRepresented manufacturer in litigation arising from 1999 crash of Cessna 310N in Danville, Illinois. Illinois Air Show Negligence ClaimObtained dismissal of complaint against a municipal airport authority in a negligence claim stemming from its operation of an annual air show. Cessna 172 S Mishap in McKinney, Texas Represented component manufacturer in litigation arising from 2003 crash of Cessna 172S in McKinney, Texas.